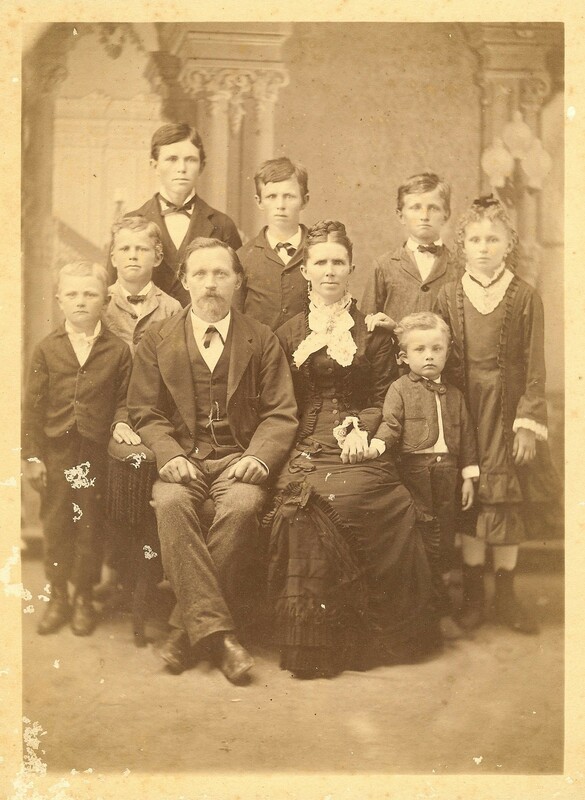 The First Families of Kendall County is sponsored by the Genealogical Society of Kendall County, Texas (GSKC). Purpose: To recognize the direct living descendants of persons instrumental in founding and settling of the area encompassed by present day Kendall county, Texas, and to preserve the history of their families and of Kendall County. This project began in 1999. Since them, one hundred and fifty one (151) Founders and ninety six (96) Early Settlers have been documented and recognized. They represent one hundred and twenty six (126) different families in Kendall County. There are two hundred and ten (210) volumes of First Families notebooks on the shelves at the Family History Place. Alphabetic list of Founders and Early Settlers by husband's surname. Alphabetic list of Founders and Early Settlers by wife's maiden surname. List of First Families Applicants and their family names. To qualify for a Founding Families Certificate, the applicant must be a direct blood-line descendant from an ancestor who settled by December 31, 1862, in the area now encompassed by Kendall County. To qualify for an Early Settlers Certificate, the applicant must be a direct blood-line descendant of an ancestor who settled in Kendall County during the time period of January 1, 1863 to December 31, 1900. The applicant must be able to prove direct descent from the ancestor (male or female) by an official record, or records, for each generation, including vital record proof for the applicant. Exceptions: (a) A Memorial Certificate may be awarded for a proven deceased descendant of a Founder or Settler provided an application has been made for them. (b) A legal adoptee of a candidate for First Families designation may apply, and if qualified, receive an Adoptee Certificate. The applicant must provide proof that the Founder or Settler (and/or a spouse) resided in Kendall County, Texas by the above dates. Land or tax records are acceptable only if they specify that the individual was a resident of Kendall County, since many early landowners never lived in the county in which they owned land. The Applicant does not need to be a member of the Genealogical Society of Kendall County; or a current Kendall County resident to apply. To apply for a First Families Certificate open the .PDF fill-in application and save it to your computer with your name. Fill in all of the information, save it to your computer, and email a copy of the digital form to FirstFamilies@gskctx.org. Print a copy of the application and submit it, along with all supporting documents, to The Family History Place, 114 E. Blanco, Boerne, TX. Download Instructions for completing the application. Note: To use the fill-in application, you will need Adobe Acrobat Reader DC. The form may not work with older versions of Adobe Reader. You can download the reader FREE at the Adobe Web Site.